Pretty Peggy and Other Ballads. New York: Dodd, Mead & Company Publishers, (1880). ￥16,000 (税込み) 23.8 x 18.5 cm. 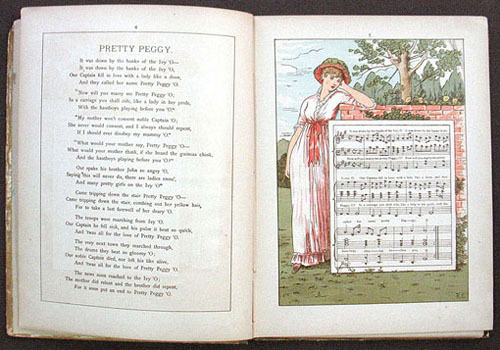 64 pp., with many full-page chromolithograph illustrations. Original cloth-backed pictorial boards, corners slightly rubbed, covers soiled, hinges slightly loose.